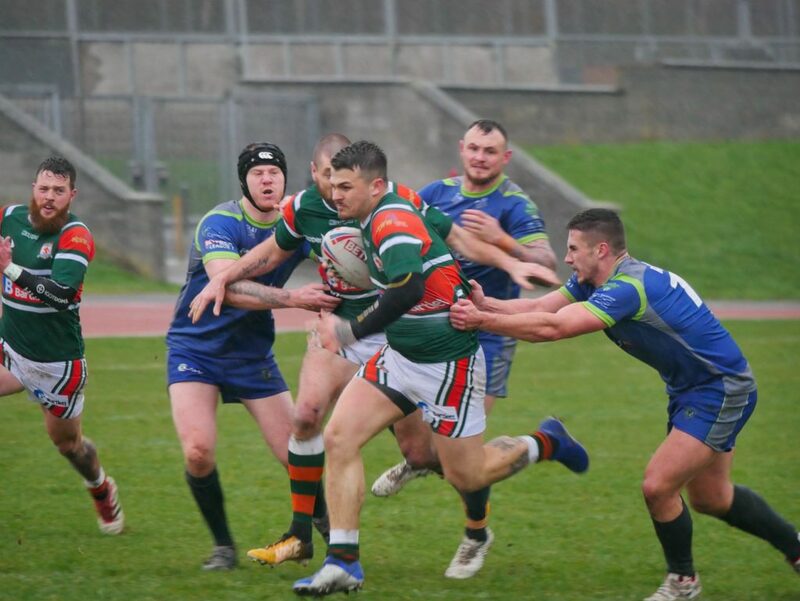 Hunslet hit the top of table after only two League games this season with a 58-4 victory over West Wales Raiders on Sunday (3 March 2019). They also have a match in hand over most teams in League 1. Last week’s nail biting victory at Doncaster was backed up by a gritty performance in atrocious conditions against last season’s easy beats. To be fair to the Welsh side, they were a different proposition to last season and although Gareth Potts and Jimmy Watson went close it took 15 minutes to open the scoring. After the early stubbornness though, Hunslet scored almost at a point a minute to end the first half 38-0 to the good. The conditions at South Leeds Stadium could have stopped flowing rugby, but no one told Hunslet who’s flanks did most of the damage in the first period. Winger Gareth Potts grabbed a brace on 15 and 25 minutes, the first from a quick free kick, the second from a brilliant Danny Nicklas pass. Michael Haley was too big and too strong on the half hour mark. But the best solo try came from Ben Heaton who ran 90 yards to score including an outrageous dummy on the way. Watson and Emmett combined well to send left-winger Dale Bloomfield over before Halifax Dual Registration loanee Harry Kidd completed the first half scoring, going over from a West Wales drop out. 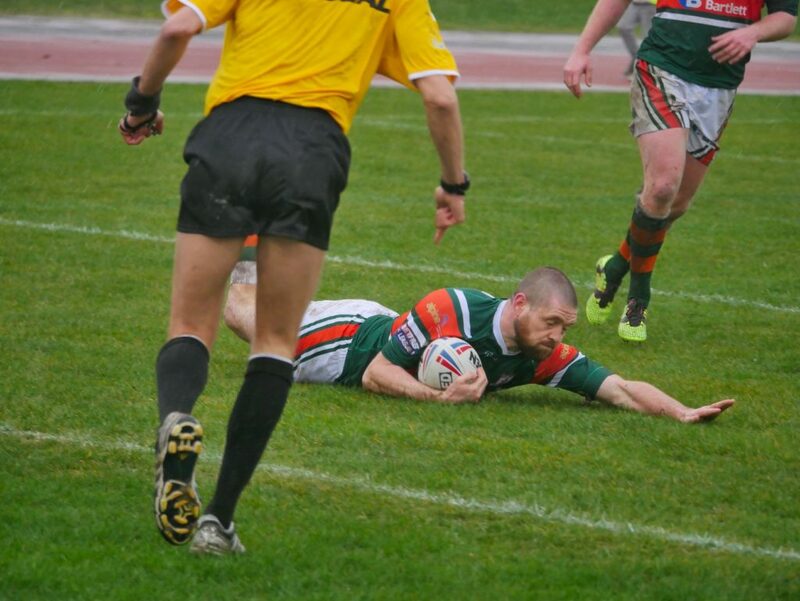 Reece Dean had been consistant with the boot converting 5 out of 7 and Hunslet lead at the break 38-0. The second half looked to be going much the same way as the first when Bloomfield squeezed over in the corner after Hunslet won a scrum against the head. 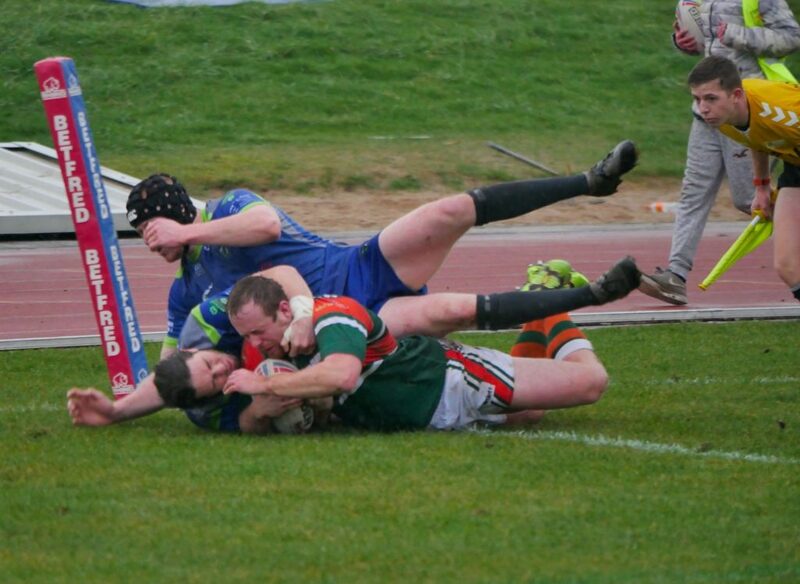 And Ashton’s try shortly after made in 48-0 to the hosts. But on the hour mark tempers flared and a tremendous scrap broke out in mid-field. After the ruckus had calmed the referee saw fit to send two players off and sin-bin two more. Reece Dean was sent off and Josh Tonks sin-binned for the Myrtle, white and flames which seemed to unbalance the home side for a period. But good hands saw Gareth Potts finish off a fine Man of the Match winning hat-trick, and Nyle Flynn was too quick and strong for the West Wales defence. Danny Nicklas converted one of the tries but it was the visitors who had the last hurrah with a consolation try in the corner from a neat grubber kick. Coach Gary Thornton would have been pleased to see his half backs taking the game to West Wales, and most of the points coming from this three-quarters on such a wet day. 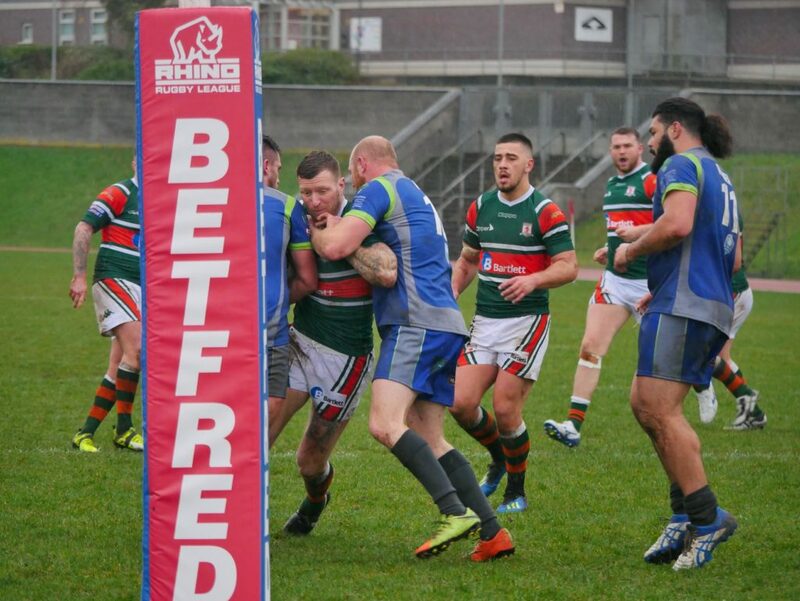 Hunslet move onto the road to Wembley next week (Sunday 10 March, kick off 3pm) with a home tie in the Challenge Cup against Bradford amateurs West Bowling. 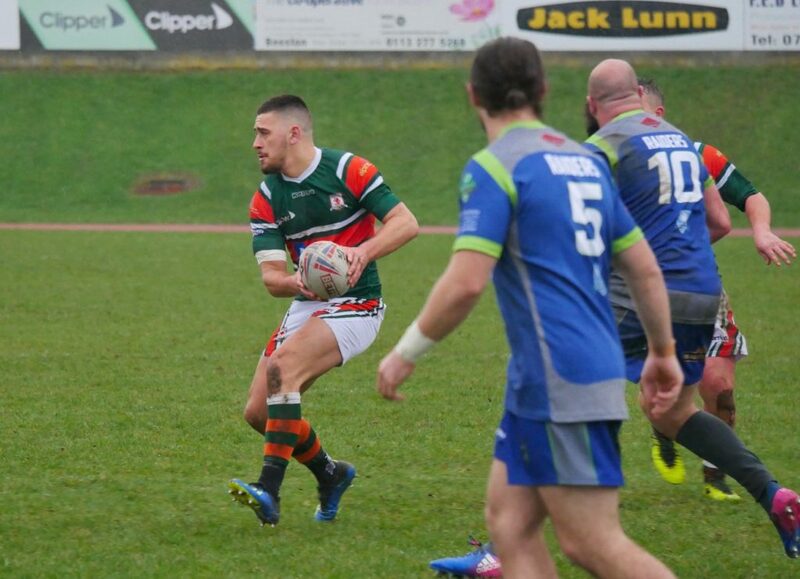 Hunslet RLFC: Jimmy Watson, Gareth Potts, Tom Ashton, Ben Heaton, Dale Bloomfield, Jack Lee, Josh Tonks, Duanne Straugheir, Mike Emmett, Ryan Wright, Michael Haley, Zach Braham, Dan Hawksworth, Nyle Flynn, Vila Halafihi, Reece Dean, Danny Nicklas, Harry Kidd, Jon Luke Kirby. West Wales Raiders: Rinaldo Palumbo, Liam Clark, Ashley Bateman, Tyler Hunt, Connor Parker, liam Rice-Wilson, Sam Herron, Robert Tuliatu, Dalton Desmond-Walker, Archie Snook, Ross Price, Bradley Kislingbury, Michael Connor, Morgan Rowlands, Kurtis Halle, Ryan Shallish, Morgan Jefferies, Mickael Sabour, Alex King.